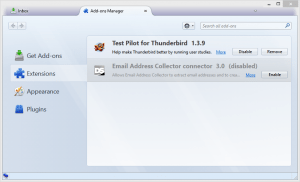 This article explains how to properly configure Email Address Collector for Thunderbird and extract email addresses from its email folders & contacts. As you probably know, Email Address Collector is capable of extracting email addresses not just from Outlook or Outlook Express, but also from any Mozilla Thunderbird version. However, some of our customers complained that they get an error message saying that “Mozilla Thunderbird is not running” when they try to access its email folders from Email Address Collector. Even if Thunderbird is actually running, they still get this error. 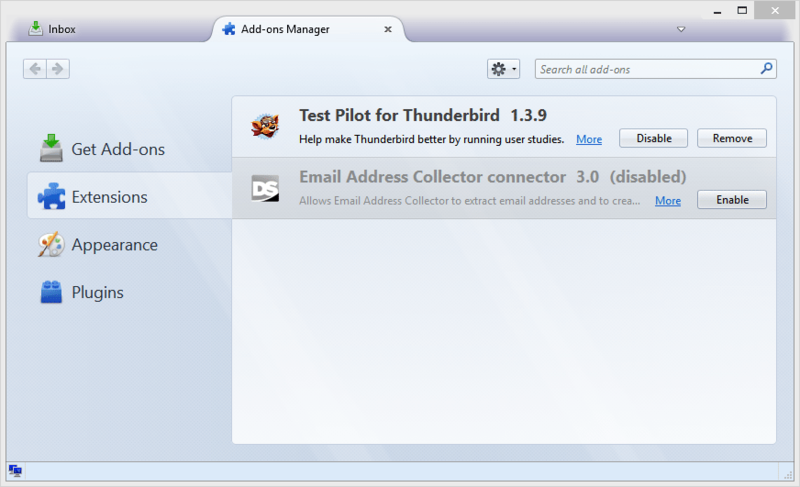 In order to access the Thunderbird folders, Email Address Collector is packed with an extension designed to communicate with Thunderbird and retrieve its folders structure. On some cases, this Thunderbird extension is not enabled by default, causing the above error message. 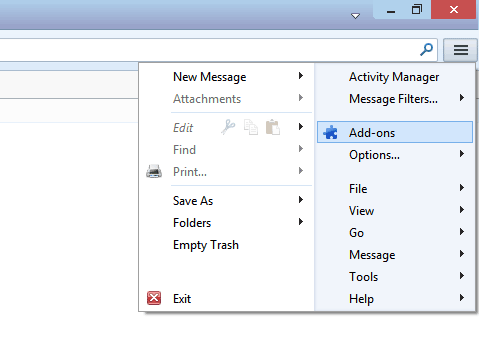 5. start Email Address Collector and now you should be able to see its folders structure and extract email addresses from Thunderbird.